Hey guys, I have something super exciting to share with you! I’m going to start a mini blog series where I do a first impression on new beauty related items. This can be hair, makeup, skin care, basically what ever! I’m so excited about this because personally I love hearing what others are loving and I’m always up to try something new! I was at Sephora the other day ( because as a girl it is just human nature that you must somehow end up in a Sephora with more then your expected in your bag) and I had run out of my Sunday Riley products so I figured I’d go replace them. You get a $121.00 value, normally sold for $72.00. And the best part is: they are deluxe or bigger then deluxe sample sizes. 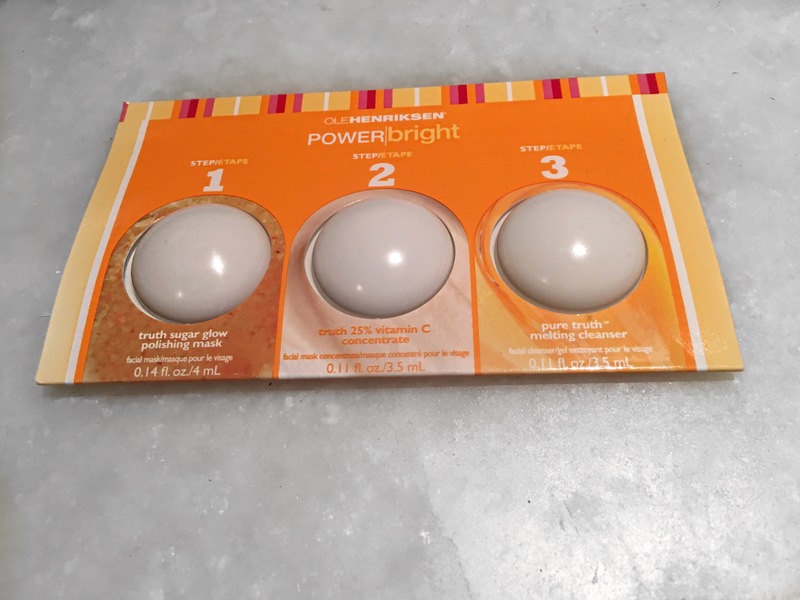 You get their Power bright 3 step system which includes the Truth Sugar Glow Polishing Mash, Truth 25% Vitamin C Concentrate and Pure Truth Melthing Cleanser. So you start by applying the sugar glow mask to clean damp skin. You leave it on for 5-10 mins and then rise off with warm water. It has a great sweet orange smell, sort of like candy and has an awesome exfoliating texture. Not to rough but rough enough to do it’s job. Next step is applying the Vitamin C concentrate. This lotion has sort of a light clay like texture and a general orange smell, nothing overwhelming. You leave it on for less then 5 mins, but you don’t remove it! Step 3 you apply the melting cleanser over the concentrate. It’s a bright orange gel that has a light orange scent but at this point all I can smell anywhere is orange. You leave this on for 10-15mins before gently removing with a warm washcloth. This was an awesome face mask / peel sort of product. It takes long enough you can make some tea and just relax. It did tingle a bit once I added the melting cleanser but it never hurt. After my face felt so hydrated and smooth! I feel like I saw instant brightening results. Next I tried the African Red Tea Foaming Cleanser. This cleanser also has a light orange smell and because it is a foam you only need a small amount. 1 pump was enough to was my whole face. It was really nice to use in the AM because of the orange smell. 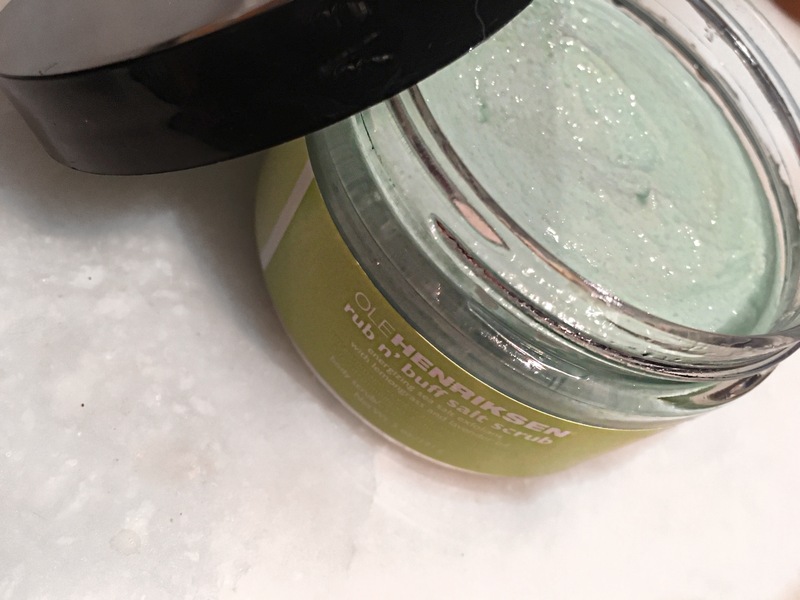 It’s designed to hydrate a nourish your skin which is great for these Alberta winters. The Truth Serum Collagen Booster is designed to reduce the look of fine lines, which is great because although I’m only 23 (almost 24!!) I do want to start more preventative skincare measures. It’s a nice light serum, not greasy and it sinks into my skin instantly. It’s a nice sweet fragrance and a little goes ALONG way with this stuff. 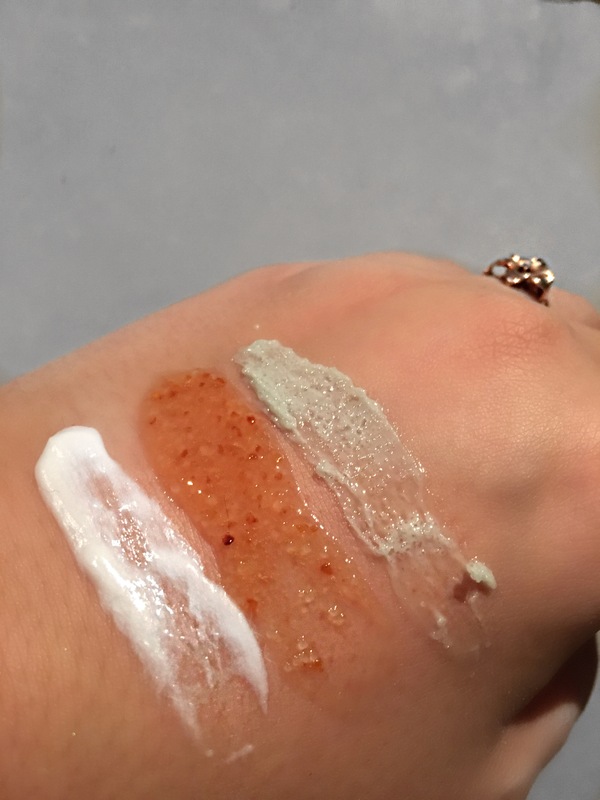 The Truth Sugar Glow Polishing Mask, the same from the brightening kit, is also comes by its self which is nice for when you want to just do an exfoliating treatment. Sheer transformation is an oil-free perfecting creme. It’s designed to smooth the look of uneven texture, skin tone and feminism dark spots. It is not a heavy moisturizer and is absorbed quickly. It’s fragrance free which is also nice. The Ultimate Lift Eye Gel is an overnight eye treatment that lifts, firms and deduces puffiness. It is a super light gel which a slight cucumber smell. You barely need any of it, I just tap my finger on it and I get enough. 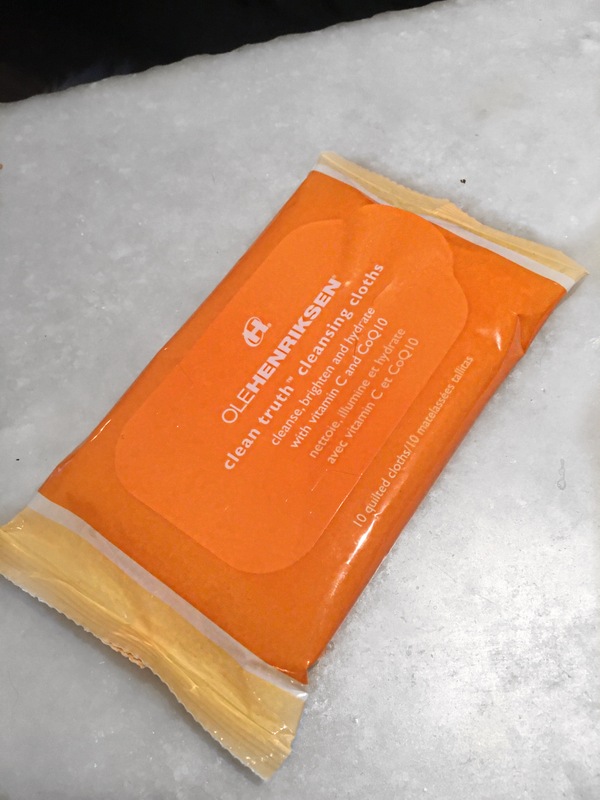 The Clean Truth Cleansing Cloths are great for after you remove your makeup. I use these to kind of just get the left over makeup before I start my whole skin care regime. The are designed to brighten and hydrate & they again have a nice orange scent. 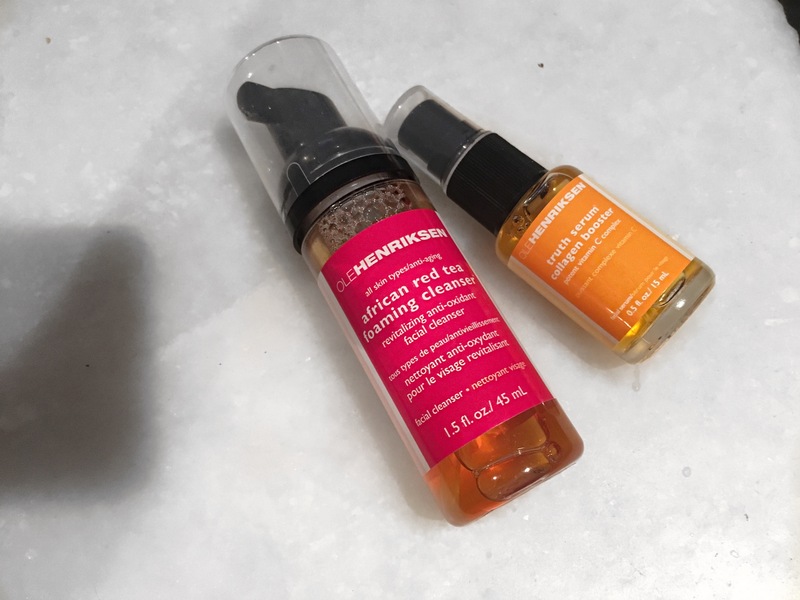 I’ve used these before and they are something I’d always repurchase. Finally in the kit you the Rub n’ Buff Salt Scub. It is a full body exfoliant that like the sugar scrub isn’t too rough. It rough enough to do it’s job. I can’t describe the fragrance, sort of a fresh spa smell. I used it on my hands and they felt really nice and smooth. 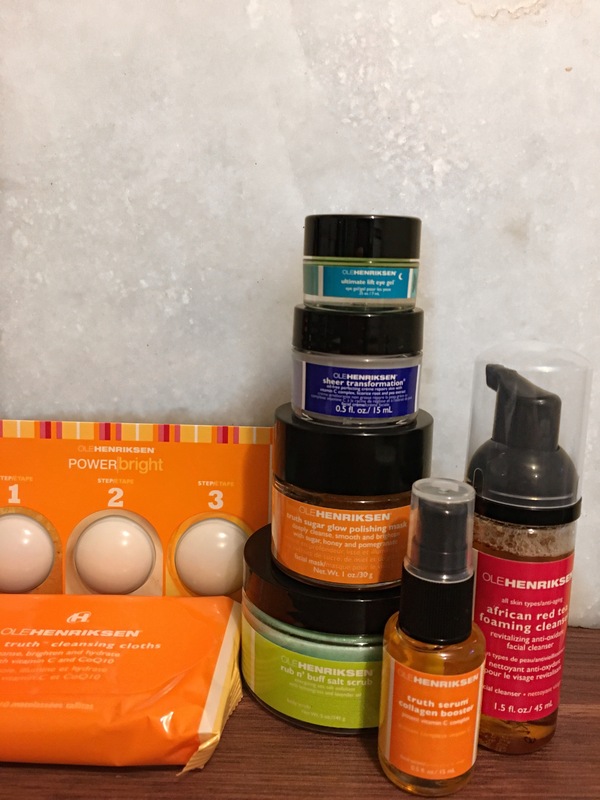 I am so excited to continue using these products and once I run out I might do a total review on what I thought and the differences I saw in my skin. More exciting news!! There will be a YouTube video about this haul!! Yes you read that right! I’m starting my Youtubr channel back up. I already have 1 video up, it’s a vlog style video of my trip to GP with Redbull. Check it out link is Redbull Trip: GP. Check it out! 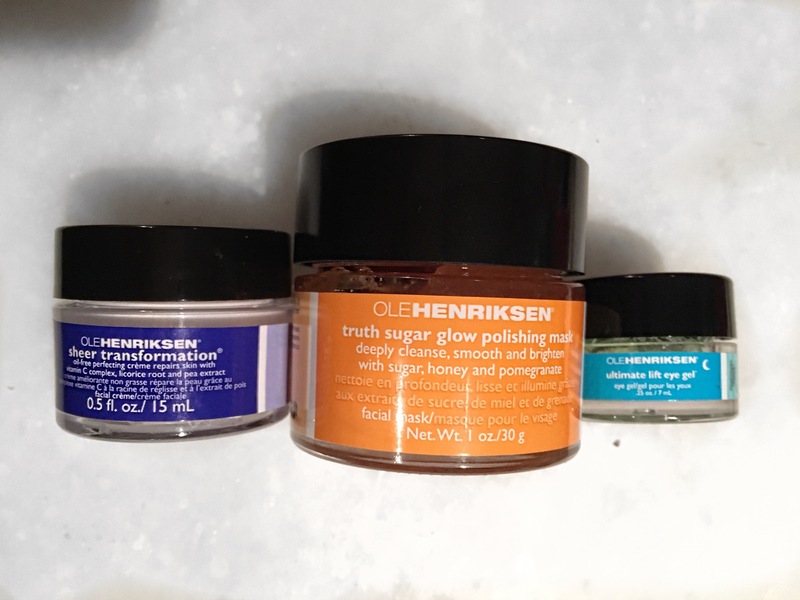 I’ll let you know when my Ole Henriksen video is live! What is your favourite type of skin care to use? Let me know!! < Previous Start the year off right! Clean eating.